Well the negative gearing debate is raging again. Will they or won't they? There has been a lot of conjecture in recent days of whether to cease all deduction claims for investment rental properties or partly curtail the current arrangement. Before one goes into the likelihood of this occurring, one has to understand how politics works. Time and time again the major parties announce some white paper or tax reform or a new policy. What this ultimately does is give them feedback from the public through the media on the proposed changes. Obviously if there is too much negativity, they will not go forward with the changes. One particular method the politicians use is to sometimes present the worst possible case, get the particular sections of the community outraged and upset and then bring the changes in at a miniscule proportion of what they were. Before one goes into the likelihood of this occurring, one has to understand how politics works. Time and time again the major parties announce some white paper or tax reform or a new policy. What this ultimately does is give them feedback from the public through the media on the proposed changes. Obviously if there is too much negativity, they will not go forward with the changes. One particular method the politicians use is to sometimes present the worst possible case, get the particular sections of the community outraged and upset and then bring the changes in at a miniscule proportion of what they were. Politicians get what they intended, and the community is relieved it wasn't so bad after fearing the worst.Politicians get what they intended, and the community is relieved it wasn't so bad after fearing the worst. So what are the politicians up to? There is no doubt that the Australian federal budget is struggling. There are only 2 fixes, spend less or earn more. Not being an economist, the debate on both sides of politics will continue to argue what an appropriate solution is. Whenever a tax change is introduced, there are always consequences to the economy. The impact of changing the negative gearing laws has far reaching effects for not only the housing sector, but for many of the Mum and Dad investors who can only afford their investment property through tax breaks. Included in this section are the low income families who rely on the rental market staying within reach of affordability. In Parliament on Thursday 11/2/16, Mr Morrison confirmed the government was looking at putting limits on negative gearing but only for very high-end investors. “The truth is negative gearing is used in the overwhelming majority of cases by nurses, by police officers, by teachers, by ordinary hard working Australians, the vast majority of people who are engaged in buying that property to give them the opportunity to grow and build and support their wealth,” he said. Labor has already flagged limits on negative gearing which could include either limiting the number of properties that could be geared or restricting the practice to new homes. Sources said the government was not considering paring back capital gains tax deductions for investors. So at the end of the day, one can assume some changes will take place. They will probably only affect a few property investors and we will have to wait for the consequences in the market place. As always, make informed decisions before deciding on a course of action. The property market is still forecast to grow this financial year in Brisbane and there is still demand for housing in the rental sector. A previous article on the consequences of abolishing negative gearing can be accessed here. 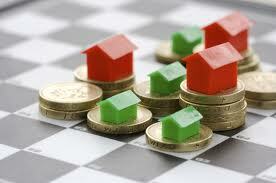 Be assured, our property management services will continue to look after your investment.